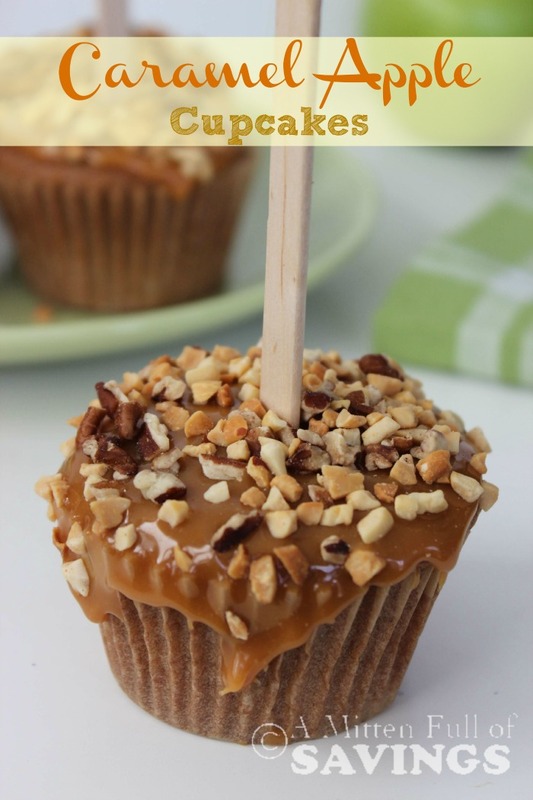 These Caramel Apple Cupcakes are ideal for a Fall class party, after school snack, or something new for your Thanksgiving dessert table. They are filled with the sweet and spicy flavors of fall – spice cake, caramel, and fresh apples. Serve one with a steaming mug of coffee, hot apple cider, or cold milk for an amazing treat. Super easy delicious cupcake recipe! !